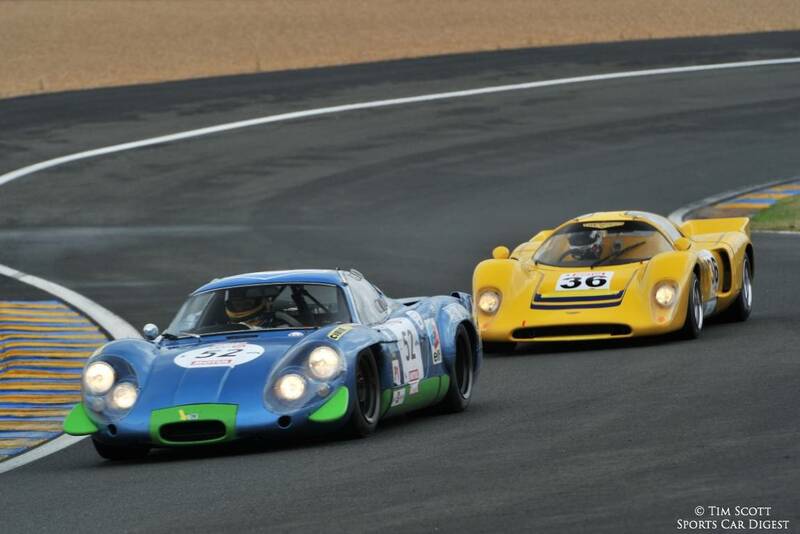 The Plateau Five race for competition cars that competed at Le Mans from 1966 to 1971 included a mouth-watering selection of cars that have raced in the Sarthe Classic and, sometimes, have scored outright wins. It was the case for the fabulous Porsche 917 that triumphed in the 1970 race driven by Hans Herrmann and Richard Attwood. 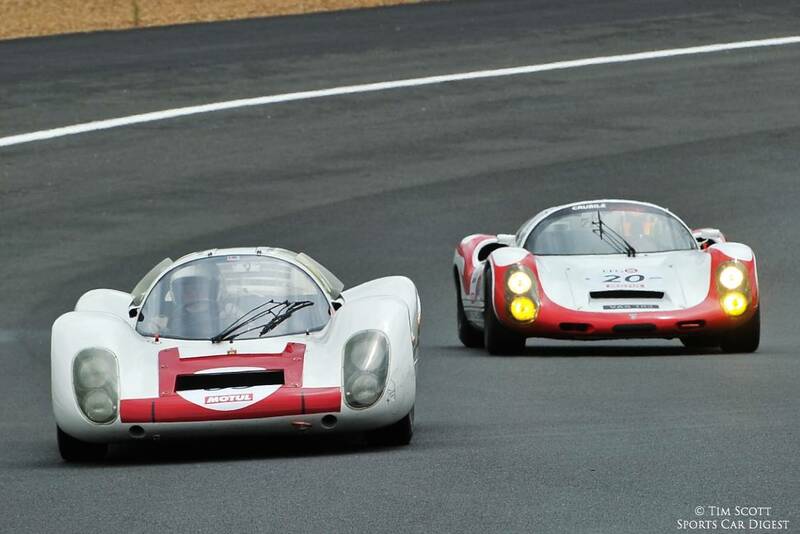 Then there’s the Porsche 907 that came 5th in 1967 with Jo Siffert and Hans Herrmann, the Ford GT40 Mk II that rounded the Blue Oval’s famous triple in 1966 with Ronnie Bucknum and Richard Hutcherson, the Alfa Romeo T33/3, 4th in 1972 with Nino Vaccarella and Andrea de Adamich, one of the ex-NART and Filipinetti Ferrari 312 Ps, which shone in the USA at Daytona and Sebring, an ex-Jean-Pierre Jabouille and Patrick Depailler Alpine A220 and the Matra MS 660-01, which did not win the Le Mans 24 Hours, but came first in the Paris 1000 km with Jack Brabham and François Cevert. 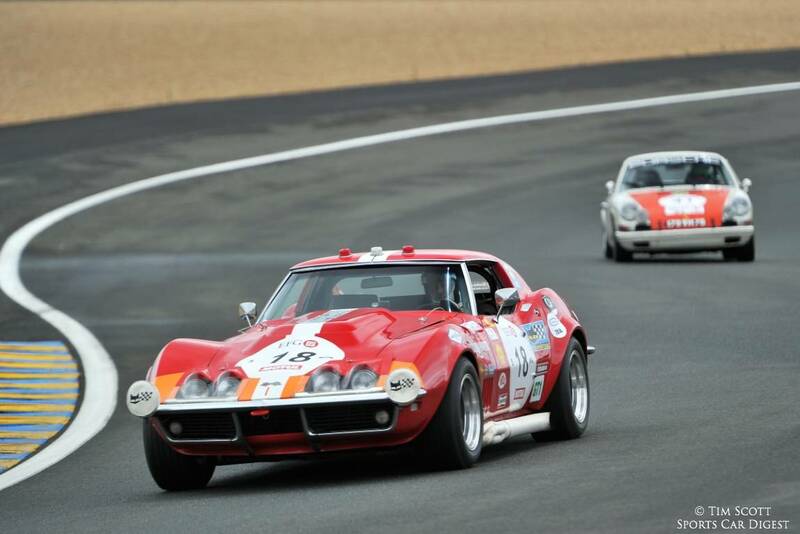 Among other interesting rarities at Le Mans Classic 2014 included the 1968 Costin Nathan 1000 GT (wooden monocoque) and the Nomad BRM Mk2 from 1968, plus Le Mans regulars Chevrolet Corvette C3s, Chevron B8 and B16s, Lola T70s, Porsche 906, 907, 908, 910 and 911s. 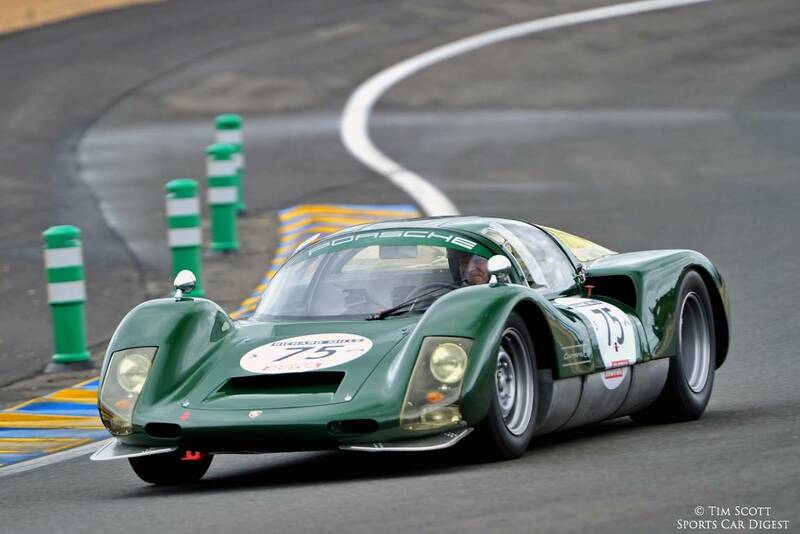 Among the drivers were two former Le Mans 24-Hours winners, Eric Hélary (1993 Peugeot 905) and Jürgen Barth (1977 Porsche 936) who drove a Chevrolet Corvette C3 and a Porsche 907, respectively. Jacques Laffite (6 F1 GP victories) drove a Porsche 910, Nani Galli (ex-F1 driver between 1971 and 1973, 4th in the 1968 Le Mans 24 Hours in an Alfa Romeo T33/2) was behind the wheel of an Alfa Romeo T33/3, without forgetting Paul Belmondo in a Ford GT40, Emmanuel Collard in a Porsche 910 and Xavier Pompidou in a Mk2 Nomad. 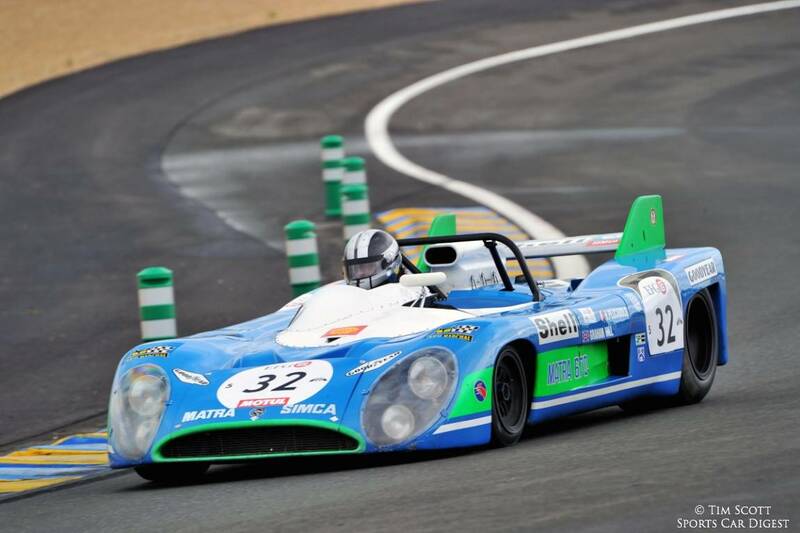 The Group Five race at the 2014 Le Mans Classic saw David Hart’s Lola T70 Mark IIIB dominate the first heat, which was plagued by occasional showers. There was a thrilling scrap going on behind the Dutchman between legendary cars like the Porsche 917, the Ferrari 312 P, Chevron B16s, Matra MS 660s and Alpine A 220s. Unfortunately, the Ligier JS3 driven by Jacques Nicolet among others ground to a halt after only five laps with a broken suspension wishbone. Races two and three followed the same pattern as Hart dominated them both. It was sweet revenge for English constructor Lola which, in six decades of racing at Le Mans, had never won the 24 Hours outright. 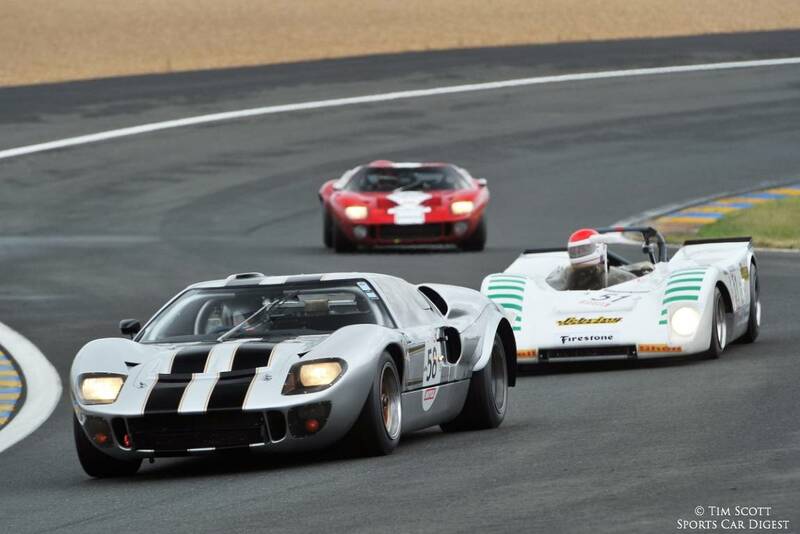 Similar to 2010 and 2012, Senior Photographer Tim Scott also documented Le Mans Classic 2014 with the following images that expertly capture the Grid / Plateau Five race for 1966 to 1971 Le Mans entrants. We split up Tim’s 186 pictures into two galleries. 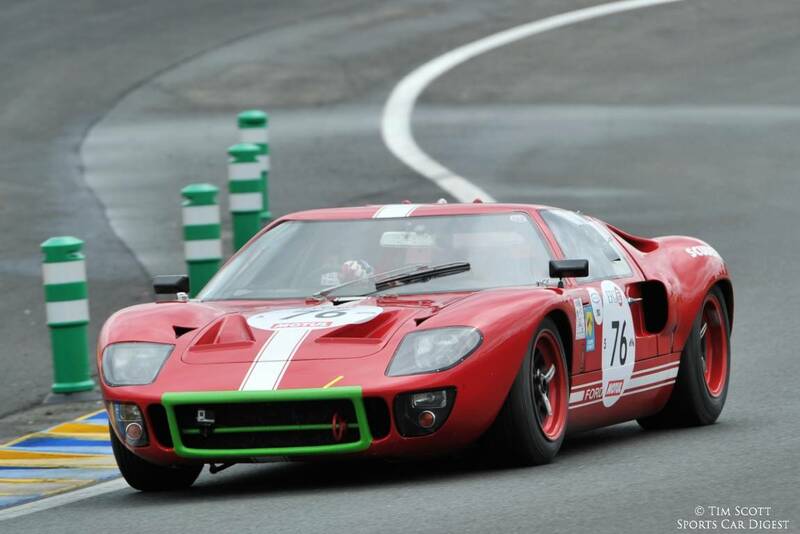 The first gallery starting below features our favorite images, all displayed in the full-width view of Sports Car Digest, while the second gallery and race results can be found on the last page of the article and gives a comprehensive view of all the photographs. To see more from Tim, visit fluidimages.co.uk. 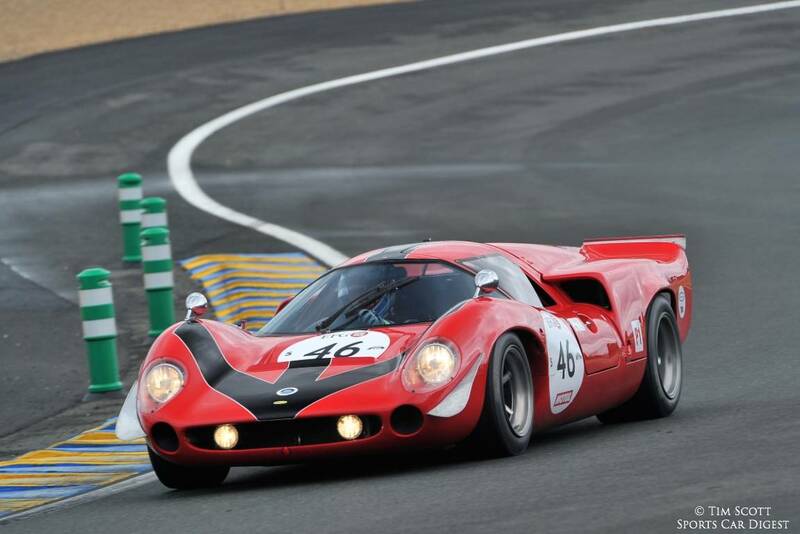 The 1969 Ferrari 312 P is so-so hot! It’s so wonderful to see these magnificent machines still running on such historic venues. My brothers and I never made to Le Mans in person but we did watch on television. We were lucky enough to see some cousins of these racing in the Can Am series at Riverside International Raceway. Photo 5, the Chevron/mazda …. its exhaust pipe is glowing red… ITS GLOWING RED!!!! !